David Bowie: Live and in Person. Well, almost. The Victoria & Albert Museum is opening its archives, to share with the world, the genius, creator, musician, artist, collaborator. The Originator, himself. What does that have to do with branding, and why is Bowie more viable and more interesting and more modern than ever? A luxury brand has history, creativity, craft, and authenticity. Bowie’s vision, ahead of his time, was ever-changing and nothing like anyone else in the music industry at the time, and still today. The music, the circus, the theatrics; they were a seamless process of creativity that it now legendary. Elton John, for all his theatrics and costumes, just didn’t pull this off. 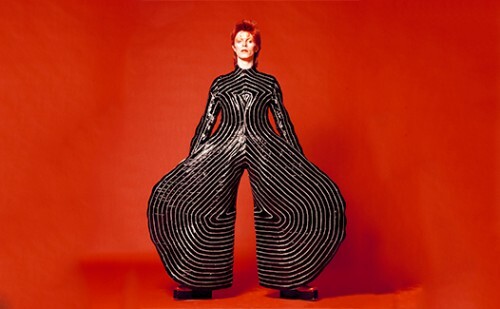 Bowie was an artistic collaborator. When you see the breadth of this work in both visual and music, art, and other media you’ll understand how significant this is to today’s media landscape. As a pioneer in creating a signature sound, look, and a multitude of collaborations, the exhibit intends to document his own voyage through these many incarnations. The concept of his brand, rests in his search for something new. When he removed ‘the mask’ of BOWIE, it was the stripping down of his previous persona, obvious, intentional and freeing for him; yet this was yet another persona, in itself. Like a chinese puzzle box, you really didn’t know where the real BOWIE, was. You simply marveled at his many incarnations and waited for the music, it was always about the music. By putting his life and work inside a museum, something changes again. You are not just looking at an era, but a voyage by one man to find himself. ARTIFICE ATELIER. “Always branding, all the time”.